The Cecchetti Method is taught in all ballet, tap, jazz classes at the Dance Center. Approximately 12-14 students are invited each year to participate in a one hour (per week) Cecchetti Technique class is in addition to their normal Ballet, Tap, Jazz class. Students enter the program at Grade I via invitation through recommendation by their ballet teacher. Some of the characteristics that we look for in a student are: musicality, flexibility, ability to concentrate, ability to take and apply corrections, physical strength, ability to straighten (flatten) knees, desire to learn, etc. The Cecchetti Method of classical ballet is based on the teachings of Maestro Enrico Cecchetti, who was a teacher with The Imperial School of Ballet in St. Petersburg, his two most famous students being Anna Pavlova and Vaslav Nijinsky. Although Maestro Cecchetti only taught professional dancers, his method of working through levels and assigning a different day of the week for concentration on various movements, i.e., allegro, adage, pirouettes, etc., has been compiled into The Cecchetti Society of America’s (CCA) graded method of teaching classical ballet from beginners on through the professional levels. Each level has its own syllabus, or manual upon which all Cecchetti technique is based. The manuals are for sale only to Cecchetti students at a nominal fee from your teacher. All Cecchetti students are required to verbally learn the contents of the various syllabi. A Grade I student learns not only the various steps and enchainements (combinations of steps) that are contained in the syllabus, but the correct theory, points of the room and translations of many French words and phrases (the language of ballet) that are also contained in the syllabus. When the student has mastered all of the above (basic steps, combinations, technique, French phrases and words, etc.) the teacher may present the student for adjudication. When this process takes place depends mostly on how much time the student puts into learning the various parts of the syllabus work. Some students do it fairly quickly (within a year) while others have to spend more time working on it. Students do not have to take an exam if they don’t wish to, but they can only take an exam if presented by their teacher. The exam (or national adjudication) is offered several times a year. Examiners are from various parts of the world and exam fees range from $45 - $65 for student levels and start at $75 for professional levels. Exams range in length from 45 minutes for lower levels to 2 hours for higher grades. The exams are based on everything that is printed in a syllabus. The student must be able to not only demonstrate various steps and combinations in front of the examiners, but verbally answer questions on technique as well as translate the meaning of French phrases and words. They are always responsible for the content of prior grade levels. Students in the lower grades are examined in small groups. Professional level exams are administered individually. 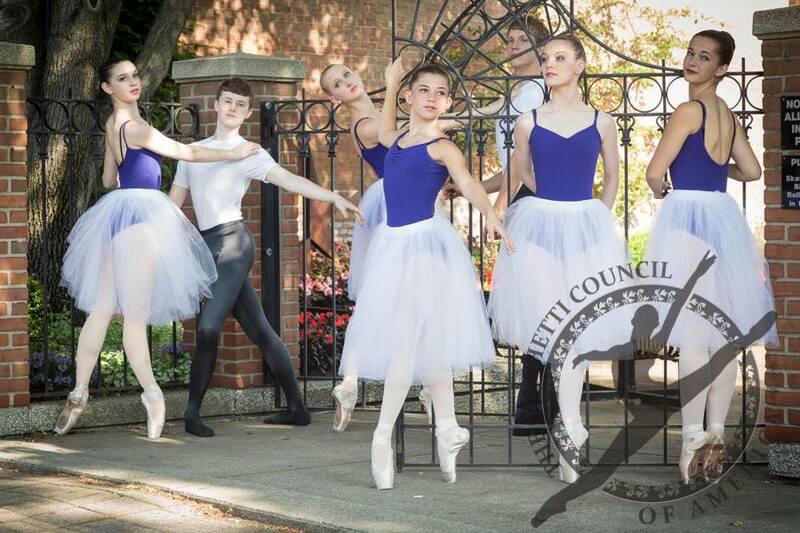 Learn more about the Cecchetti Council of America right here. Photo courtesy of the Cecchetti Council of America, via Facebook.